email Marketing is becoming the method of choice for most marketers as the effectiveness of banner advertising appears to be weakening overall. email Marketing is a powerful way of building customer loyalty and brand awareness with your customers. eMail marketing is faster, costs less, has more interaction and better measurability than any other media. 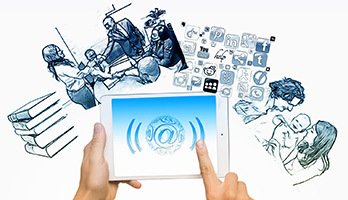 eMail usage and Internet access is growing at a rapid pace. Your competitors are probably doing it, so why not do it better? More than 90% of your prospects won’t buy the first time they visit your site or see your offer. What you want to do is collect their e-mail addresses and FOLLOW UP consistently. You might offer them a free reports or providing a useful newsletter in exchange for parting with their email. Then follow up regularly and create a stream of prospects, customers and back-end sales. Bulk email is the practice of sending mass quantities of email to lists of “unqualified” email addresses. This spamming, as it is called, is considered bad “netiquette” by many netizens. If you send unsolicited email to addresses that do not want commercial email, not only do you risk the reputation of your business, you can get into trouble with your ISP. Using targeted direct email means sending commercial email to recipients that have approved of this email. The best examples of targeted email are ezine advertising and direct “Opt In” email marketing. It isn’t like autoresponders are some big secret or anything. Yet, most people don’t use them nearly as effectively as they could. Let’s talk about a few ways to cash in on them. First you need an account with a sequential autoresponder company. These autoresponders send out a series of messages at any interval you designate. Integrate your autoresponder with your shopping cart or order form so that when your customers buy, they receive an immediate email confirming the order. But don’t stop there. Send an email the next day asking if there were any problems with the order. If you sell a digitally downloaded product, ask if the customer had any download problems. A few days later, I send an unexpected gift to increase what is called post purchase satisfaction and to decrease refunds. A few days later, send an email asking the customer to sign up as an affiliate. There are so many great tricks with autoresponders. I have an entire autoresponder system that obtains referrals, gets testimonials, signs up affiliates and so forth. Ezines or email newsletters have become a pretty effective way to keep in touch with your customers and to reach potential new customers online. If you want your email newsletter to be read… it needs to be sent ONLY to people who want it and have requested to receive it. 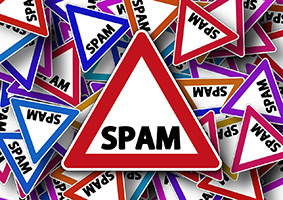 Blasting out hundreds of thousands of spam email newsletter will not work and only get you into trouble eventually. Newsletters are an outstanding way to “gently” plug your business. You might publish a newsletter that mostly provides information to subscribers such as bargains or special offers but more importantly, they remind buyers that you’re there. Newsletters are a great way to stay in touch with your audience on a regular basis, share information with them, and invite them back to your web site. Your newsletter could include announcements about what’s new at your business or any changes you’ve made. You might include market trends occurring in your industry and how your readers can benefit from those trends. Do NOT make the newsletter a pitch for your product, but include great and useful information your reader will be interested in. I’m talking meat here. Not fluff. But at the end of the issue, post your sales letter. Start a free newsletter you send by email at least once a month. Get the visitors permission first, then send your visitors useful email. At the bottom of the newsletter issue, include the sales letter for your product of the month. Offer visitors to your site the ability to sign up to receive periodic free information about your industry. Give people a taste of what you offer on your website but don’t overwhelm them. Give them bite-sized pieces .. Your participation in a Discussion group can be a very effective way to drum up prospects. Usually delivered via email like an ezine, a discussion group, or list, differs from an ezine in that you are allowed to voice your opinion. There are discussion lists on many subjects and they hold a marketing value similar to that of newsgroups. You help others while your signature file does your marketing. Discussion groups are much more powerful though, since they are delivered to a targeted audience, rather than people having to find them. No matter what you are marketing online, it’s a good idea to participate in discussion lists. Use Google to search for a few discussion groups in your area of interest. Your email signatures can and should be added at the bottom of every email you send out. It can be a short description and the URL of your web site. Even before you launch your website, you can (and should) begin to use your own domain name. Why? Because it is the worlds cheapest advertising tool and an excellent way to brand your business. How? By using your domain name in your email address and in your signature file. If your email address reads yourname@aol.com or you@bell.com – you are branding the name of your Internet Service Provider. Why should you do that? Your ISP doesn’t pay you for it. Indeed, you pay THEM a monthly fee!! !